• Stave off the “hangry” – During the workday, you’ll typically have your lunch in the middle of the day, come back to work, and work through another handful of hours before it’s time to come home. When you get home, it’s likely been 4 or 5 hours since you’ve last eaten, which means the “hangry” has begun to set in. Like our Indiana pizza, our Bucceto’s pasta dishes are built to fill you up, so you’re less likely to feel the effects of hunger before dinnertime. • Plenty of options – Not all pastas are created equal, and there’s a Bucceto’s pasta dish to satisfy just about any craving you might have. Linguine with pesto is perfect if you’re looking for flavors from the fresh and light profile, while our Jumbo Ravioli served in meat sauce is exactly what you want to satisfy that craving for classic comfort food. Have a hankering for seafood? Our Linguine with Clam Sauce will really hit the spot. • Get it gluten-free – If your diet requires you to go gluten-free, you don’t have to avoid those pasta cravings! At Bucceto’s, our gluten-free spaghetti can be enjoyed more than 10 different ways, and with no worry that any gluten has made its way onto your plate. • Gives you an energy boost – If you’re not prone to getting “hangry”, you may still be prone to getting those 3 pm snooze attacks. This occurs when you’ve eaten lunch, began to digest, and your body begins feeling drowsy, making it difficult to get through the rest of your day. 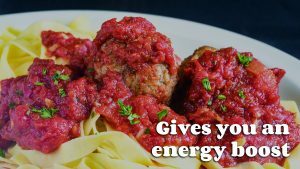 Pasta, however, is a natural source of carbohydrate energy, which gives you that boost you need to power through your day minus the yawns. 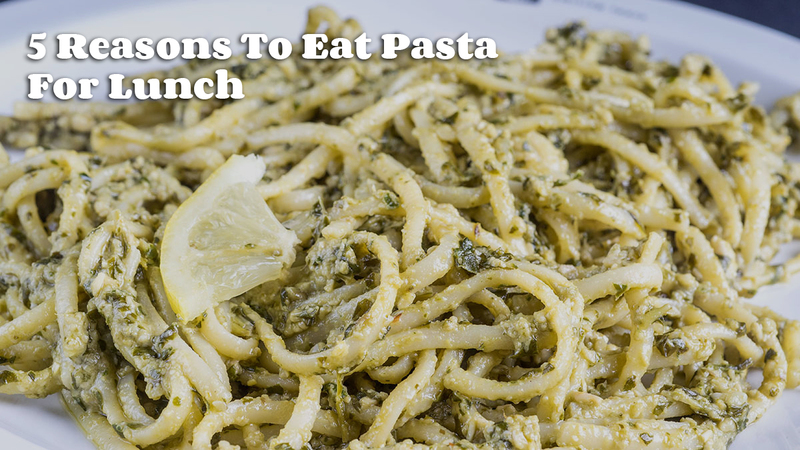 • It’s good for the environment – If you’ve committed to living a more eco-sustainable lifestyle, there are few lunch options as earth-friendly as pasta! The carbon footprint of taking pasta from farm to table is minimal, and recent researched published in the journal Ecosystems found that the grains that make pasta only consume 0.51 liters of water for the production of every 1 calorie of food.